At issue is a universally intrusive annoyance to virtually everyone with a phone, and a key component of countless dubious and outright fraudulent schemes. I have been watching with only mild interest the progress of FCC Chairman Ajit Pai's attempt to roll back the Obama administration's 2015 Net neutrality ruling. My concern is that everyone is so focused on what could be an esoteric concept about which few beyond political junkies know (or even remotely care) that they're failing to address the real and immediate annoyance for tens of millions of Americans: robocalls. Robocalls are a universally intrusive annoyance to virtually everyone with a phone (wired or wireless) and a key component of countless dubious and outright fraudulent schemes. NBC news recently reported (see video at the 13:20 mark) that 2.5 billion robocalls were placed in the U.S. last month. Also in March, the FCC's Pai laid out the commission's agenda for the month, and the big item on the list is a proposal to combat robocalls, which he identified as "the top source of consumer complaints to the FCC." It's hard to imagine how this pestilence has gotten so far out of hand. 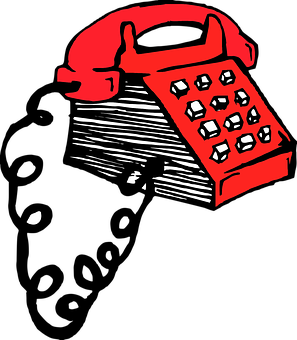 The Telephone Consumer Protection Act of 1991 (TCPA) ultimately led to the establishment of the Federal Do Not Call Registry, which went into effect in 2003 to comply with the Do-No-Call Implementation Act passed the same year. Of course, the Do Not Call Registry does allow calls to registry entrants from political campaigns (big surprise there), but there are some state-level exceptions. Calls also are permitted from non-profits, survey takers, and bill collectors. Bill collector calls are limited by the Fair Debt Collection Practices Act; to my mind, all of these measures amount to a reasonable approach for ensuring acceptable practice. In short, if you are on the Do Not Call Registry and receive a call that doesn't fit those parameters (or from a company with whom you do not have a previous relationship), the caller is breaking the law. According to the Federal Trade Commission, which now manages the National Do Not Call Registry, those who violate the registry or place an illegal robocall can be fined up to $40,654 per call. The drek, bottom-feeders, and flat-out criminals who make these calls thumb their noses at the Do Not Call Registry in clear violation of the law, but they can cover their tracks so simply using VoIP technology. They can buy predictive dialers for almost nothing (or simply use a cloud-based dialer service), spoof the caller ID, and buy dirt-cheap "short duration" call services to screw your mom or grandma... because that's the audience this scum is targeting. While some protections are available, they are typically not 100% effective. The most popular is Nomorobo.com. The service is free for landlines and $1.99 per month for iOS devices; Android support is in the works. Nomorobo doesn't support all landline services, either. It supports my Optimum cable phone, for example, but not my old-fashioned Verizon landline, though it is about 60% more expensive than Optimum. To make it work, you set up simultaneous ring on your landline so that every time you receive a call, it rings Nomorobo, too. Nomorobo checks a database of known annoyance callers, and if the caller is on that list, it answers the call and hangs up. Your phone rings once and stops. Tricks like Nomorobo are useful, but I'm afraid that putting an end to this scourge is going to take more effective policing, and that should start with the "enablers." Those would include the service providers and dialer manufacturers. Further, rather than registering the numbers that don't want to be called, how about licensing anyone engaged in mass outbound dialing? The onus for making this stop should start with the operators, and they in turn should bear the responsibility for policing their customers. Serious fines can be a great incentive to vigilance. Yeah, Net neutrality may present some sort of long-term issue, though I'm still waiting to see what that might be. The only significant offender I've found is Comcast, which admitted to toggling BitTorrent traffic... but that was back in 2009. In the meantime, I think it's high time we get our priorities straight. The general public has virtually no interest in the Net neutrality issue but everyone is pissed about robocalls.